All the tracks we’ve had on repeat this week. It’s been an emotional (and quite frankly overwhelming) week for The 1975 stans. Amidst news that the band will be headlining Reading & Leeds Fest this year, as well as the ongoing countdown to their full album drop, all Healy-related anticipation has reached a record high – quelled only watching the new Warren Fu-directed video for their track “Sincerity is Scary” on repeat, 24/7. Described by Matty on twitter as “good bowl of soup levels wholesome” (fix us pls), the frontman shows off some serious moooooves, steals a rose for an old lady, and pours a watering can all over a face-painted child – a nod to his own appearance in the video for “A Change Of Heart.” See you on tour in Jan babes. AJ Tracey is back and pulling no punches with a fiery new single, “Doing It”. The west London MC premiered the track at Ladbroke Grove’s BAYSIXTY6 skate park on Wednesday, where 200 of his most loyal fans gathered despite the rain to hear the rapper’s much-anticipated announcement. They were rewarded not only with a performance of the new single (as well as fan-favourites “Pasta” and gold-certified “Butterflies”), but an announcement of a new self-titled album, dropping February 8th and available to pre-order now, as well as a tour of the UK and Ireland. 18 year old west London singer AMA has blessed us with her debut single ‘Monochrome’, complete with stunning accompanying visuals by Arnaud Bresson, part of Division Paris, the French video production team who have made videos for the likes of A$AP Rocky, Kali Uchis, Kayne West, M.I.A. and more. The bass-filled woozy beat is the perfect accompaniment to this ode to the grey area of young love, AMA’s vivid storytelling flowing effortlessly over the track. ‘Monochrome’ is taken from AMA’s debut EP, released in 2019. So A$AP’s back. This week the rapper dropped the visuals for “Sundress”, a mellow reflection on moving on from a past relationship, co-produced by Brian Burton, aka Danger Mouse. In the vid he wanders round a neon-lit club, where time appears to have stopped on dancers, couples, and a girl with a gun. The song samples Tame Impala’s psychedelic 2010 track “Why Won’t You Make Up Your Mind?”, following rumours of a collab between the two since 2014, when an unofficial A$AP track entitled “Unicorn” (featuring a sample of Tame Impala’s “Feels Like It Only Goes Backwards”) did the rounds online. Now “Sundress” has arrived just in time for his North America January tour promoting his third studio album “Testing” – get booking those flights boys ‘n’ girls. “The soundtrack to the days you spend in bed”, says jazz and blues singer Celeste of her new track “Lately”: “overthinking relationships with money, boys, family and work, and not making the most of them…” Sounds like a standard Sunday night in for the best of us tbh. Joined by Leeds jazz and hip-hop collective Gotts Street Park, the rising R&B babe reflects on a low and complicated period of her life on the melancholic track, with smokey, emotive vocal that’ll soothe those winter blues. 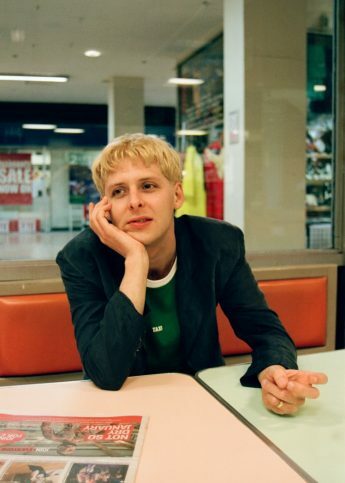 From Giggs to new Circa Waves, all the songs we've had on repeat this week. 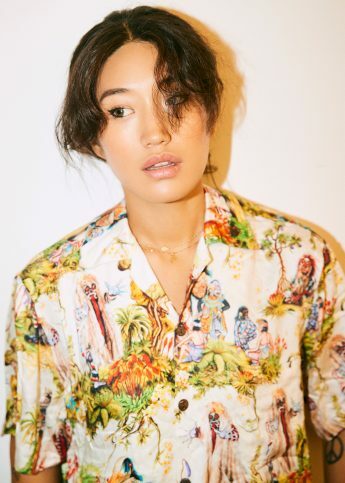 From Peggy Gou and Lizzo to the epic return of Will Young, here's all the tracks we've had on repeat this week.